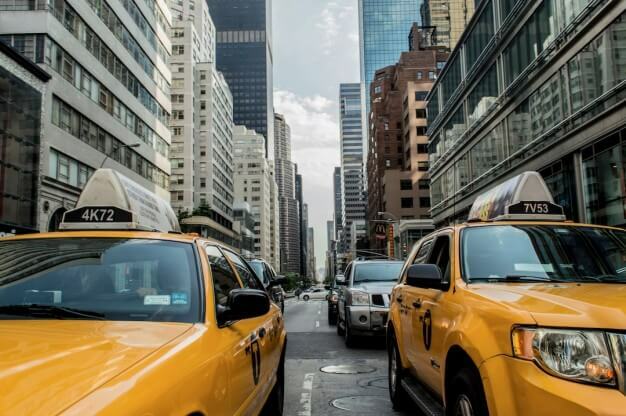 Taxi cabs are only the convenient and affordable way to travel from one place to another. Riding with cabs are becoming an essential part of the people’s life which creates more demand as well strenuous thing to hail taxis at peak hours. Even though the technology grows fast, it is always trouble for passenger to hail local cabs during rainy nights. 1. The primary thing, you should not wait until the driver passing you, step forward so the cabbies can get over to you. 2. Get off the restraint thought, because oncoming car drivers may not able to see you. There may be lot of people around you in street, so spot out yourself in the street side and make them seen. 3. Go to fuel filling station or the place where taxis will assemble so that more often you will get a chance to hail taxi. 4. Lexington Avenue has comprehensive Indian restaurants so taxi drivers might like curry in hurry. 5. Cabbies will come for shift in Bond St. between Bowery and Lafayette area so you will always have a cab during shift change from day to night. 6. Stay the same direction where you want to go, so that you can save some money and time by keep riding in same way. 7. Do not stand with large group of people in downtown, The driver may not see you and there is a chance to ignore you. 8. Do not stay over the base of bridge, more often they will ignore you due to safety concern. ← How Taxi Drivers Get the Benefit from Taxi Dispatch Software?